Today we mark the 30th anniversary of Liverpool’s historic 4th European Cup victory against Roma in Rome. It was our second win in the eternal city, and the last time we would get our hands on ‘Old Big Ears’ for 21 years. It therefore seems fitting to remember one of the men who made us Kings of Europe. The one great advantage that age gives you is more time to reflect and re-evaluate the views you held in youth. 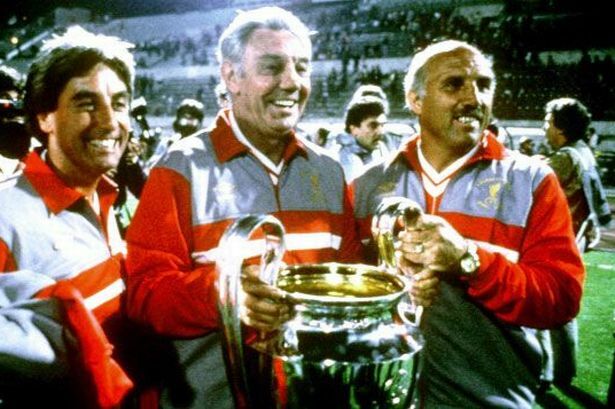 As a sixteen/seventeen year old kid watching Joe Fagan’s Liverpool I was, in football terms a spoilt brat, fed on a diet of unrelenting success; and an era where a victory parade in May was taken for granted. When you are fed on caviare all your life you become very fussy. I didn’t adore Fagan the way I did Shankly or Paisley. I used to moan that he didn’t seem to play Paul Walsh enough for my liking. I failed to acknowledge the monumental job he took on in replacing his midfield general (Graham Souness left the club in ’84 for Sampdoria). Nor did I see the signing of Jan Molby as the stroke of genius it was. What an idiot I was back then. To be fair there were some dodgy signings too. Kevin McDonald and “Fatty Robbo” (Paul Robinson) hardly set the world alight. He did sign John Walk and Gary Gillespie who went on to have great records at the club. However, the purchase of Wayne Harrison from Oldham ensured that his record in the market went from the sublime to the ridiculous. Writing this embarrasses me, and it should. I have spent most of this decade bemoaning the culture of the modern football fans who see success as a birthright. Hindsight has shown me I was really no different. What the hell was I thinking? 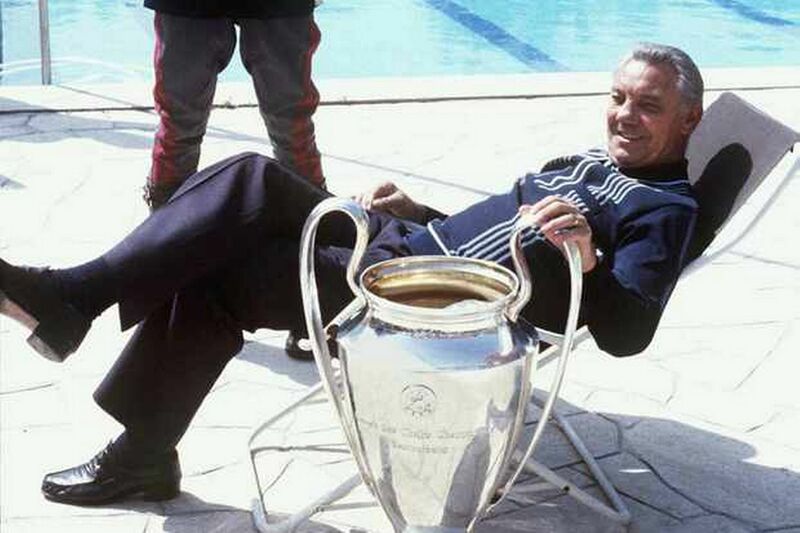 Joe Fagan is a man who gave everything he had for the club he joined as a coach in 1958. Along with Shankly and Paisley he nurtured the players we went on to idolise. There would have been no Hunt, Callaghan, Keegan or Smith if there had been no Fagan. To be honest if that was his only contribution to the club, it would have been enough; by a mile. There was more though, so much more. When Bob Paisley stepped aside in ’84 it was Joe Fagan the board turned to. He repaid them and us with an unprecedented trophy treble. Let’s allow that to sink in for a moment; in his first season in charge he led the club to a League title, League Cup and European Cup. Utterly incredible. There are those who argue that it was somehow easy to win things back then. Liverpool were so dominant. Those same people never apply this logic to Ferguson’s successes over the years. The fact is though, it isn’t true. English football was very strong back then. The playing field was far more level than it is now. Teams like Forest and Villa had won Europe’s top prize. In ’85 Everton went on to win the league by 13 points. This is the backdrop to Joe’s success. A new manager following a legend, who happened to be the most successful manager in English football history. It’s like Moyes following Fergy by winning a treble. Remarkable. Then came his final season in charge, ’84-85. We finished 2nd to our biggest rivals Everton, but we still reached another European Cup final. Sadly this was to prove an unfitting end to an incredible career. The Heysal Stadium disaster was a terrible tragedy on both a human and footballing level. It broke Joe Fagan, and he couldn’t carry on after seeing such a terrible loss of life. When I hear talk about footballing dynasty’s, I struggle to think of any that parrallel the one we had at Liverpool from the late 1950’s to the ’80’s. An unbroken chain of success. Men not so much steeped in the traditions of a football club, but men who created and shaped those very traditions. It was Joe, for example who created the boot room. It was him who had the players change at Anfield and travel by coach to Melwood and back. This promoted camaraderie and allowed the players to cool off before their post training bath. He was bad cop in the Paisley era and a champion as manager. Thankfully I am no longer the spoilt supporter I was in ’84. 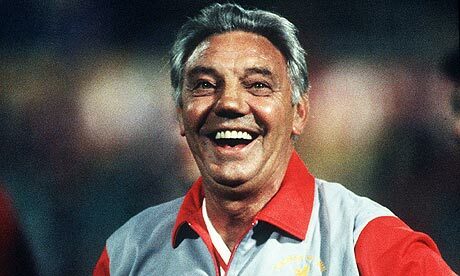 I will never forget the monumental contribution Joe Fagan made to the history of our club. Thanks Joe. Rest in Peace.